With the 2017 LRNG Innovators Challenge ongoing, we revisit the continuing success of some of our past grantees. 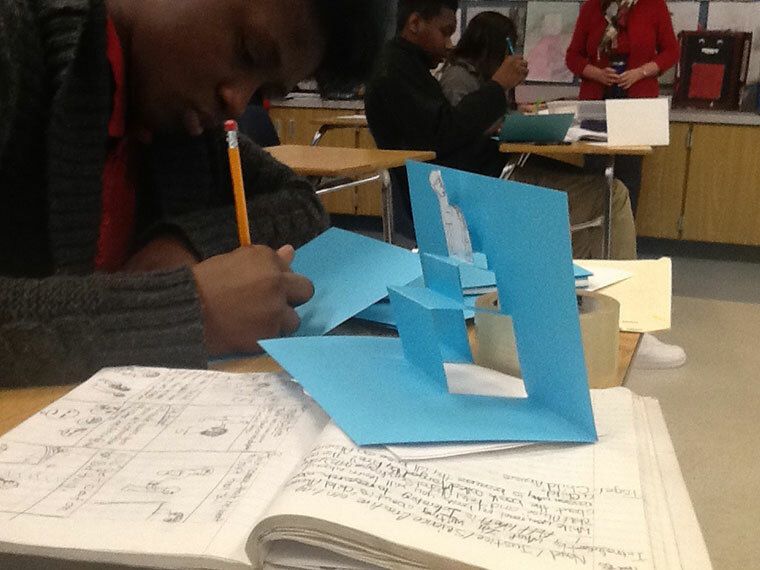 In 2014, the first cohort of LRNG Innovators launched with the tagline of “No Bells, No Walls,” with applicants asked to focus on innovative projects and strategies to expand the time and space for youth to engage in interest-driven, production-centered work. In 2015, we once again challenged teachers to reach beyond the schoolhouse door for young people to follow their interests and do ambitious work. With the launch of the 2017 LRNG Innovators Challenge upon us, the staff at Educator Innovator found this to be a perfect opportunity to check in with previous LRNG grant awardees to observe the continuing impacts of their innovative projects within and beyond their respective learning communities. The Making Our Worlds team, made up of teachers associated with the UNC Charlotte Writing Project in North Carolina, sought to demonstrate how student energy, imagination, and concern for their community can be harnessed to address issues of interest to them and their families. They did this by creating in-school spaces where students could follow their interests as makers of the language arts: digital storytelling, filmmaking, poetry, music, visual design, and more. A year-long, inter-district collaboration between teachers at the Connecticut Writing Project-Fairfield, The We, Too, Are Connecticut team envisioned a variation of ubuntuism called Digital Ubuntu, or “We can be us, digitally, because of how we compose together with 21st Century tools.” The project brought together more than one hundred students from diverse backgrounds and perspectives to exchange knowledge about writing in digital spaces, and produce personalized, inquiry-based digital products shaped around the following units of instruction: TedTalks, Digital Scrapbooks, and Podcasting and Ethnography. For example, at Central High School, students took up their inquiry through podcasting, which they called “radio plays.” Shaun Mitchell directed radio plays with students at Central High School. Inspired by Matt De La Peña’s We Were Here, playwrights wrote scripts, turned them into radio plays, and performed them as original pieces. The students produced a documentary about the experience. We, Too, Are Connecticut was proudly represented at the 2016 NCTE National Conference and the National Writing Project Annual Meeting. This poster illuminates the successes of the project and features many links to the media produced in collaboration with the six school partners. At Kenilworth Middle School, the LRNG experience began in earnest by shifting an existing Digital Arts/Media Production opportunity—which had a dedicated space in the school complete with professional video production equipment—from an early morning club to an elective course. 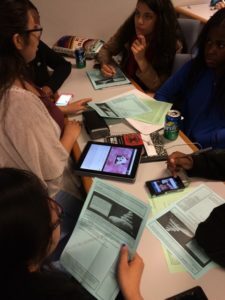 This shift allowed more time for more students to explore these resources, along with being a “showtime” opportunity to nurture youth interests and strengthen skill sets in areas such as film, photography, graphic design, production, and script writing. Laura Bradley, who teaches students English & Digital Design, said that the school has experienced some exciting changes since establishing their KTV classes in the Fall of 2015. Through their continued efforts, the team was able to achieve further funding through the Petaluma Educational Foundation, their local Kiwanis Club, and their PTSA. To their honor, the KTV program was awarded the 2016 Jack London Award for Educational Innovation from Sonoma State University. Students produced the video above to show at the awards ceremony.